After two seasons of late and postseason heroics in Philadelphia, Nick Foles is getting a chance to start from Week 1. The Super Bowl LII MVP is joining the Jacksonville Jaguars, a team that was minutes away from squaring off against Foles and the Eagles two years ago. The deal is worth $88 million over four years, with $50 million guaranteed. Per the NFL Network's Mike Garafolo, Foles can earn up to $102 million with incentives. The move hardly comes as a surprise. The Jaguars are ready to move on from Blake Bortles. And after the team signed Foles's former quarterbacks coach John DeFilippo in January, a move was all but imminent. That's what makes the value of the contract so interesting. Foles will make an average of $22 million over the next four years. By comparison, Bortles (who's getting released once the Foles signing is official) signed a three-year extension worth about $18 million per year last offseason. At $22 million, Foles is the 11th-highest paid quarterback in terms of average salary per year. That's not outrageous, but it's more than guys like Russell Wilson, Ben Roethlisberger, Philip Rivers, Cam Newton, and Tom Brady. It's also quite a bit of money for a 30-year-old quarterback that's been inconsistent over the years. While he found success during his second stint in Philadelphia, he's never started all 16 games during a season. Foles had never completed more than 65.5 percent of his passes before this year. He's also shown a propensity for fumbling, coughing the ball up 31 times in just 54 games. The Jaguars said they wanted to give Foles a "respectable starting quarterback contract," per Garafolo. But they just did that with Bortles a year ago – and that didn't turn out well. It's entirely possible that this signing hurts the Jaguars and they have millions of dollars wrapped up in a quarterback they ultimately release. Then again, maybe Foles goes to Jacksonville and continues playing well. It's not like the Jaguars can get much worse under center. Having a quarterback with big game experience, paired with a defense that still has lots of solid pieces, might just be enough to get Jacksonville to its first-ever Super Bowl. The Eagles Are Letting Nick Foles Enter Free Agency – How Much Money Can He Make? The Philadelphia Eagles aren't placing the franchise tag on Nick Foles, allowing him to become a free agent. How much should he expect to make on the open market? Nick Foles is earning a healthy salary this year, but he can make more than two million dollars by playing well over the next month. 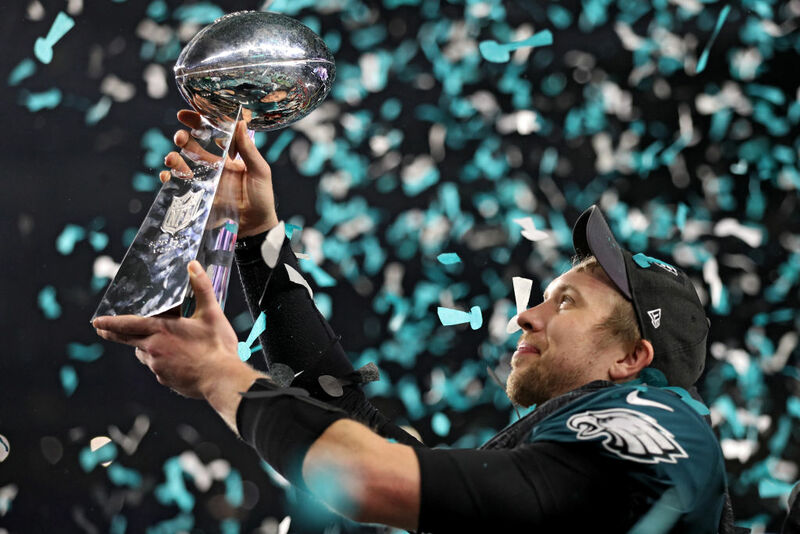 Nick Foles and Carson Wentz are Super Bowl champions. But compared to the rest of the league, they're not being paid like winners.